Ballad Health Executive Chairman, President and CEO Alan Levine went to bat for rural hospitals in Washington, D.C., on Tuesday by advocating a major legislative change to Medicare. 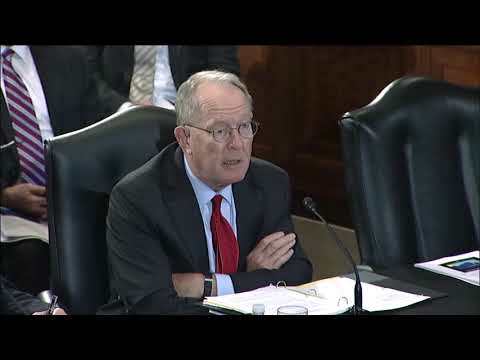 In testimony submitted to the U.S. Senate Subcommittee on Primary Health and Retirement Security, Levine said the Fair Medicare Hospital Payments Act of 2017 would help save rural hospitals and support health care in non-urban America. “Simply put, rural hospitals and physicians need a federal regulatory and reimbursement environment that takes into consideration the unique circumstances faced by the hospitals and physicians serving the 20 percent of our population that lives in 80 percent of our country’s geography,” Levine noted in his testimony. As a point of reference, Levine said Ballad Health provided more than $300 million in uncompensated care last year, leading to a system-wide operating margin of only 0.6 percent, or $12 million. Levine pointed out that if a “national floor” were established on Medicare’s area wage index as proposed by the legislation, it would generate a $30 million annual impact for Ballad Health. Our region’s Medicare area wage index has continued to deteriorate, as “political and other considerations” have driven the wage index higher for some parts of the country, according to Levine. Levine’s testimony often painted a grim picture of the future of rural hospitals. For instance, Levine noted, negative health care economics are playing out today in West Tennessee, where a regional not-for-profit system acquired a rural hospital and then closed it. Ten rural hospitals have closed in Tennessee over the last few years, according to the Tennessee Hospital Association. Fourteen of Ballad Health’s 21 hospitals are in rural areas, and six of those 14 hospitals had negative operating margins in fiscal year 2018, Levine stressed. The Fair Medicare Hospital Payments Act of 2017 has been endorsed by the Tennessee Hospital Association, the National Rural Health Association, the Kentucky Hospital Association, the Louisiana Hospital Association, the Georgia Hospital Association, the Virginia Hospital and Healthcare Association and the Alabama Hospital Association. The bill was introduced on February 15, 2017.